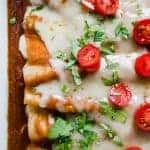 A warm tex mex enchilada dip loaded with ground beef, tons of melty gooey cheese and of course the tex mex chili gravy enchilada sauce. Enjoy the flavors of Texas with this savory snack! Who’s ready for some serious snacking?! Weekend football games, family get togethers, nightly dip festus with your significant other, a typical Monday night? 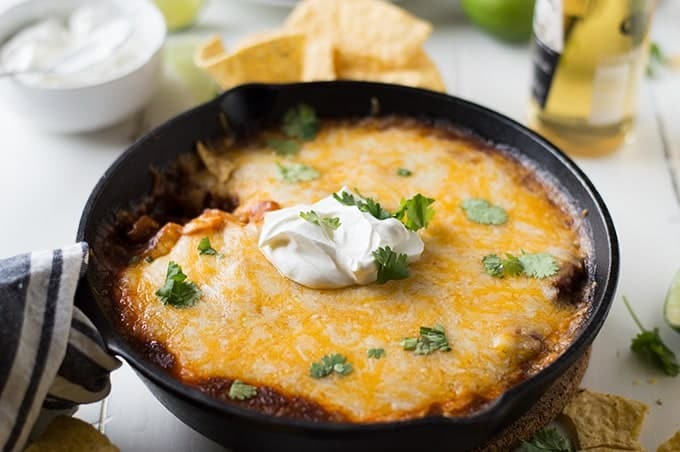 Whatever the occasion this Tex Mex Enchilada Dip will fit right in I’m sure of it. What makes this Tex Mex you ask??? Well besides the fact that it’s loaded with ground beef and tons of cheese, let me tell you about this sauce. This is not your typical enchilada red sauce. Oh no. It’s not. This is Texas chili gravy. Have you heard about this? I cannot wait to share this with you!! I’m so excited! But first! I’m back! Did you miss me? Did you notice I was gone? I feel like I went down the holiday rabbit hole and have just emerged completely exhausted, disoriented and several pounds heavier. I had no intentions of taking last week basically off. But I did! And I would love to say that it was refreshing and everything that a week off should be. But as we all know, I have kids. Which means there is truly no real time off. Especially when that time off involves a sick 9 month old. Let’s just say he’s leaking. Everrrryyywhere. And not wanting to sleep if not attached to me. Which makes doing things, like anything, difficult. I’m definitely hoping you had wonderful holidays, that you’re feeling pumped about the new year and getting back into a routine today. Do you set goals? Resolutions? I’m not the type for resolutions, but I love the blank slate start of a new year, finance wise. I’m a complete nerd and love budgeting and keeping track of finances, so to me this is the start of a new tax year and I get to set up my systems and spreadsheets. Total nerd right? I have made this sauce many times now. It’s what I use on our enchiladas when I make them. And I love it so much. 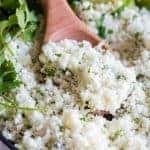 It’s made of several spices and has a deepness of flavor that is lacking in red enchilada sauce. So of course I am having to find more uses for this sauce. 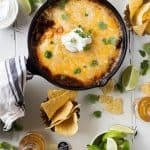 And this tex mex enchilada dip is one more way I have discovered to devour this sauce. 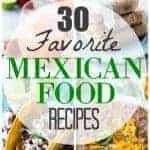 If you love Mexican food recipes make sure you check out the collection here on the site!! Heat the shortening or oil in a medium size sauce pan over medium heat. Once the shortening is melted or the oil is heated add in the flour. Whisk until fully combined, will be a thick white sauce. Cook for about 2 minutes while stirring. Add in the spices, stir to combine. Will be a thick dark red paste. Allow this to cook for an additional 2 minutes. Then pour in the beef stock. Stir so that it is a smooth liquid, all the thick spices are mixed in. Bring to a simmer and allow to simmer for about 10-15 minutes to thicken. Remove from heat. In another small saucepan cook add the ground beef and onion. Cook over medium heat until the meat is browned and cooked. Add in the taco seasoning and water, stir to combine. Cook for about 5 more minutes while stirring. In a small dish or cast iron skillet layer the ground beef, top with the chili gravy and top with the cheese. Bake in the oven at 375 degrees for 15 minutes or until the cheese is melted and bubbly. Top with any additional desired toppings and serve with chips. Haha, I think many enjoyed the holiday break 🙂 Now, coming back to something like this… This is my next party dip! Yay for Texas!!! And they are absolutely the best flavors ever! 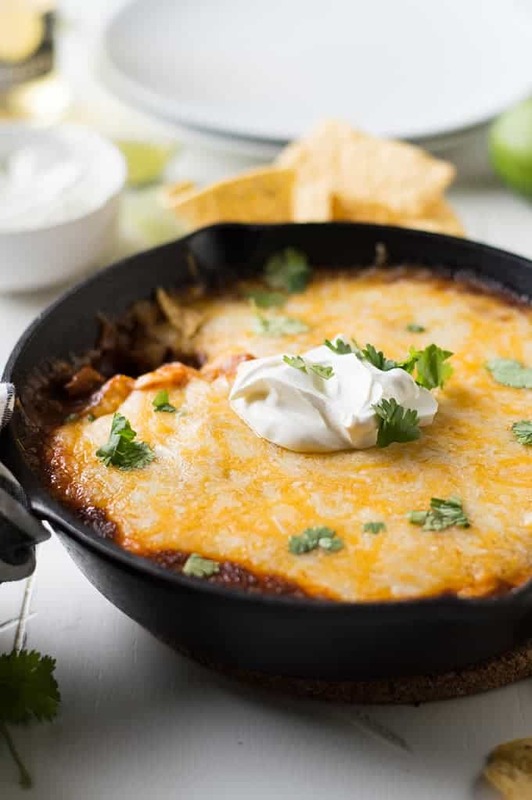 This dip looks seriously amazing! And that cheese… swoon. This dips looks like perfection with every single bite. I just want to dip a big corn chip right into the middle…yum! This looks like the ultimate party food. Awesome to say the least! Whoa! 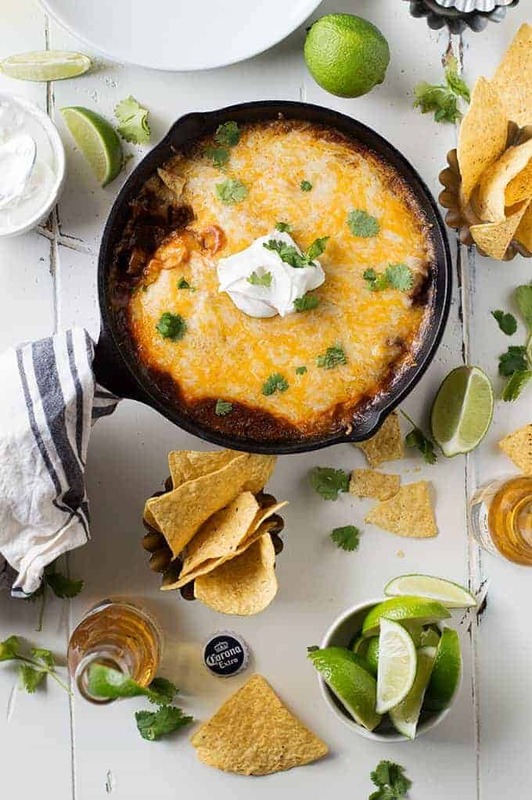 Now this is the epitome of the perfect game day dip right here! 🙂 Love the ooey, gooey cheese on top! Thanks so much Carrie!! Ooey Gooey cheese is always the best!! Yay!!! I’m not the only one!!! Thanks Beth 🙂 That just made my day. 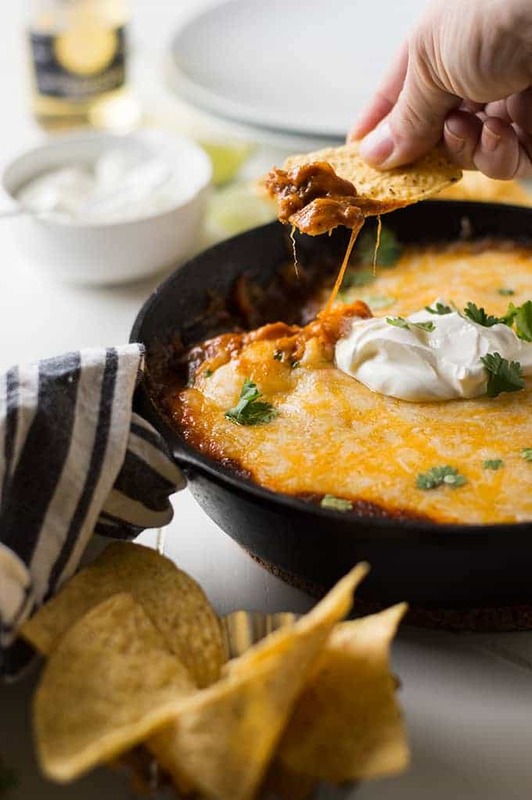 It does look really delicious the recipe, especially because I love the cheese and I’m mexican, jeje. Thanks so much Yom!! Cheese definitely is a favorite in this house!